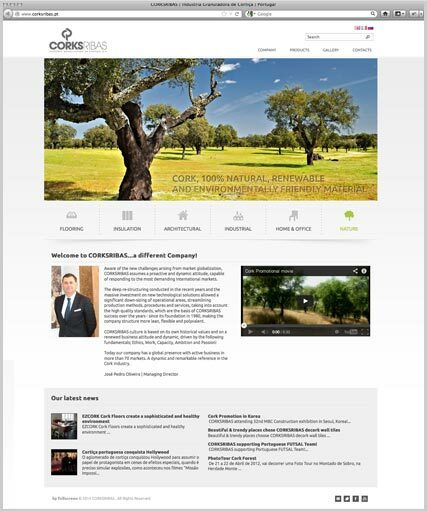 CorkUnderlayments.com is a program created by CorksribasUSA – the U.S. sales and service arm for cork manufacturer Corksribas of Portugal. It was created in order to provide a simple way for volume cork underlayment buyers in the United States to price and order cork underlayment. We also offer cork flooring, cork wall coverings and much more—learn more about CorksribasUSA. CorkUnderlayments.com is designed to be utilized by volume trade buyers of cork underlayment only—hence the need to become a member to access this site. This will allow you to know your costs and to buy cork underlayment direct from our Portuguese parent company Corksribas PT. Many of our CorksribasUSA flooring buyers also make use of our private label programs. This allows you to have our superior quality cork products labeled with your branding—whether that's flooring, wall coverings or underlayment. Learn more about our Additional Services here. Buy in container loads direct from our manufacturing facility and European headquarters in S. Paio de Oleiros, Portugal—This is the most cost effective method available in the industry. Simply call us or go online to get your delivered price. Leave the logistics to us—we act as your buying and importing agent. We manage the order, make sure we are in compliance with customs/Lacey Act and final delivery for you. You will have an account manager working with you to make sure the process goes smoothly. Learn more about our Container Program. Buy in full pallet loads from one of our US Warehouses—We stock 1/8”+1/4” rolls and 1/4"+1/2” sheets for immediate delivery. Simply call or go online to see your delivered price. Also you can check inventory quantities we have stateside and in what locations. Learn more about our Out of Warehouse Program. As an information service—Use CorkUnderlayments.com to find current market costs for cork underlayment. We encourage you to compare your present product and delivered costs to those listed on CorkUnderlayments.com. Apply Today to become a CorksribasUSA Member and gain access to all that we offer. Corksribas USA offers a unique program reserved exclusively for trade buyers looking for volume buys of cork underlayment either direct in container load volumes from our manufacturing parent Corksribas of Portugal or from one of our US warehouses in minimum full pallet increments. We offer underlayment in rolls as well as sheets. From our US Warehouses we stock both sheets and rolls in 3mm and 6mm thicknesses. Direct from our Portugal factory we offer cork underlayment, cork/rubber mix underlayment and rubber underlayment in a wide range of thicknesses from 2mm to 12mm in both sheets and varying roll sizes to meet your requirements. To gain full access to all the items offered on CorkUnderlayment.com, please login here. If you are not already a CorkUnderlayment member, please Apply Today to become one.